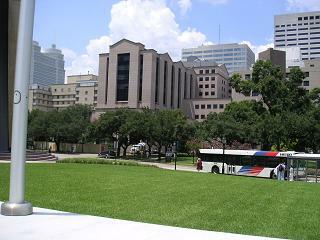 Texas Medical Center is the world’s largest medical center. Organized in 1945, an immense complex of hospitals, medical and nursing schools, and research institutions whose purpose is total coordination of health education, patient care and research. More than 100 buildings occupy 650 acres ( city within a city ) in southeast Houston south of Herman Park. The Medical Center has been home to over 40 nonprofit and government institutions, including 13 hospitals ( with 6,327 licensed beds, 262 bassinets), 2 medical schools, 4 colleges of nursing, a college of dentistry, a college of pharmacy and a college of optometry. 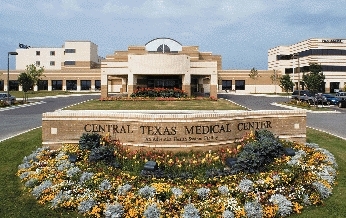 Texas Medical Center's patient visits total approximately 5.4 million a year, including 19,307 international patients. In addition, over 61,000 people worked in TMC facilities in 2002 along with 10,000 professional and support personnel working in adjacent professional buildings.